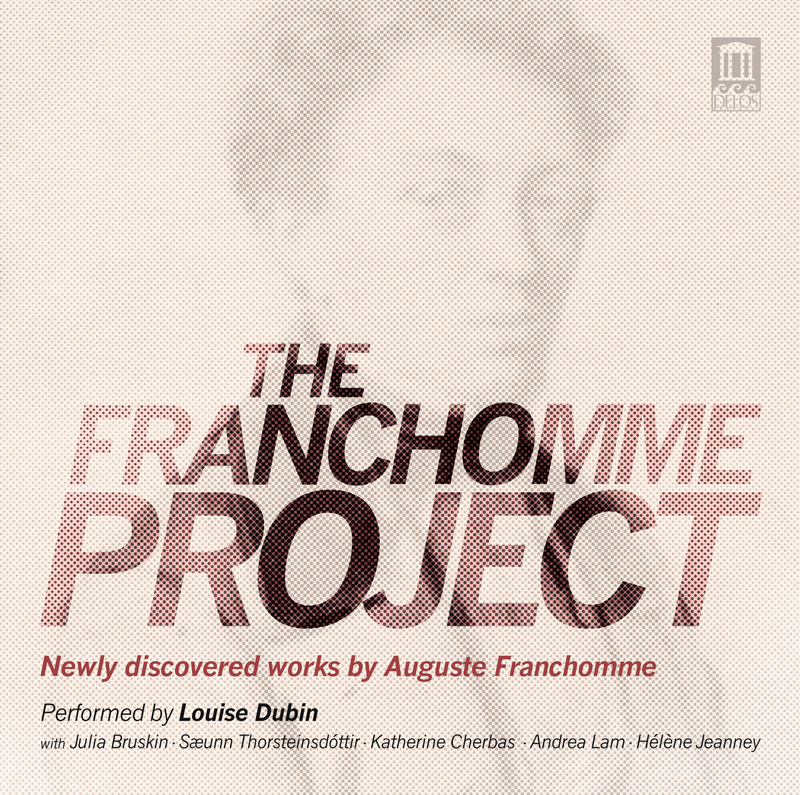 September Release of the Franchomme Project Album! I’m thrilled to announce the September release of the Franchomme Project album on the Delos label! You can read about it in the Naxos USA/Canada catalog and you can buy it now at louise-dubin.com/shop/ The album will be released in Europe and Asia in October. It includes spiffy art by Sonna Kim, liner notes by me, and a lovely French translation of my liner notes by Denys C. (a great-great-grandson of Franchomme). The first concert, at the landmark John Street Church, features all four cellists on the album—Julie Bruskin, Kathy Cherbas, Sæunn Thorsteinsdóttir, and me—performing rarely heard cello quartets and duos composed by Auguste Franchomme. Among the highlights: a piece written the same year that this church was completed (1841), Franchomme’s soulful nocturnes for cello duo, and three cello quartets that I’ve transcribed from Franchomme’s unpublished manuscripts. Our second concert features some of Franchomme’s best music for cello and piano, which I’ll be performing with pianist Hélène Jeanney (also featured on the album). We’ll also play Chopin’s Introduction and Polonaise, with Franchomme’s version of the cello part (which he modified with Chopin’s approval). I’ll share some juicy stories I’ve unearthed about these pieces. (More of this research can be found in my introduction to the volume of Franchomme’s early editions that will be published by Dover Publications in November; you can pre-order this at Amazon and on my website.) We’ll be performing in Trinity Church’s new Allegro Sunday Lecture-Recital Series at St. Paul’s Chapel, the oldest surviving church built in Manhattan. You will be able to purchase the album at either concert, or pre-order on Amazon or at www.louise-dubin.com/shop. Orders made through my website include an exclusive cello duo track not included on the Delos release. If you’re in Manhattan, we hope to see you at one of these concerts to celebrate with you in person! This entry was posted in Uncategorized on August 9, 2015 by weezeedee.